Flare wearers for flare wearers, and we think we’ve got it just about spot on. We have this pattern available in Grey paisley, Purple, Red & Tan. 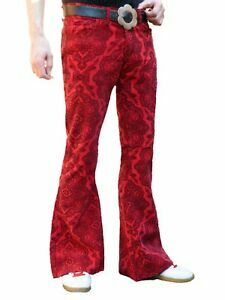 Red Paisley Corduroy. 100% Quality Cotton 11 Wale corduroy.